Bacterial translocation is defined as the passage of viable bacteria from the gastrointestinal (GI) tract to extraintestinal sites, such as the mesenteric lymph node complex (MLN), liver, spleen, kidney, and bloodstream. 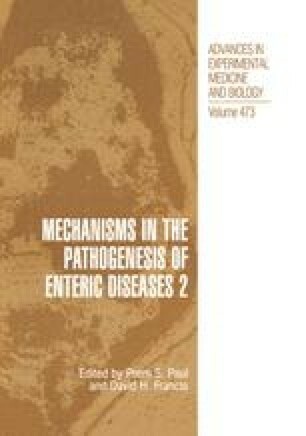 The three primary mechanisms promoting bacterial translocation in animal models are identified as: (a) disruption of the ecologic GI equilibrium to allow intestinal bacterial overgrowth, (b) increased permeability of the intestinal mucosal barrier, and (c) deficiencies in host immune defenses. These mechanisms can act in concert to promote synergistically the systemic spread of indigenous translocating bacteria to cause lethal sepsis. In animal models in which the intestinal barrier is not physically damaged, indigenous bacteria translocate by an intra-cellular route through the epithelial cells lining the intestines and then travel via the lymph to the MLN. In animal models exhibiting damage to the mucosal epithelium, indigenous bacteria translocate intercellularly between the epithelial cells to directly access the blood. Indigenous GI bacteria have been cultured directly from the MLN of various types of patients. Thus, evidence is accumulating that translocation of indigenous bacteria from the GI tract is an important early step in the pathogenesis of opportunistic infections originating from the GI tract.